Q. What is the Willow Foundation? A. The Willow Foundation is a charity which provides positive and life enhancing special days out for seriously ill 16 – 40 year olds living with life threatening conditions (the only charity in the UK to do this). Q. What denotes a life threatening condition? A. The charity includes cancer, motor neurone ­disease, cystic fibrosis, Duchenne muscular dystrophy, Huntington’s, organ failure and other conditions which threaten life as suitable for the charity’s help. Every application must adhere to the charity’s medical criteria with endorsement from a medical professional involved in the individual’s care. Q. When was Willow founded and why? A. Founded in 1999 by famous ex Arsenal and Scotland football keeper and TV personality, Bob Wilson and his wife Megs, the foundation has created a lasting memorial to their daughter Anna whom they lost to cancer aged just 31. Q. How long has Red Letter Days been involved with Willow? A. Red Letter Days began our partnership with Willow in 2012 and so far we have raised £15k to help the cause. Q. What have Red Letter Days done to help? A. Red Letter Days have been involved in events such as Willow Week when we donated money for every experience sold. We have also set up some online initiatives and even had marathon runners from Red Letter Days giving their all (see below – Mobots courtesy of being gripped with Olympic fever last year). We were also invited to join in the glamour of the Willow Wonder Ball. Q. What is Willow Friday and how does it work? A. Willow Friday is held regularly on our Facebook page. We put up one of our great Red Letter Days experiences and ask our followers for a donation to the Willow Foundation in order to receive the chosen Red Letter Days experience at a discount. Q Who is involved in helping Willow? A. Famous supporters and contributors include footballers David Seaman MBE, Lee Dixon, Gary Mabbutt and Pat Jennings OBE KSG, along with today’s sensation at Arsenal Theo Walcott. 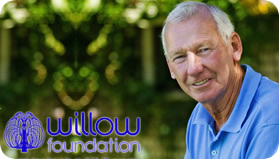 Plenty of other high profile sports names and TV personalities such as Natasha Kaplinsky, Sam Kane, Mary Nightingale, Linda Lusardi, Jim Rosenthal, Gary Rhodes, Tim Westwood and more are proud to be called patrons and ambassadors of the Willow Foundation. Q. 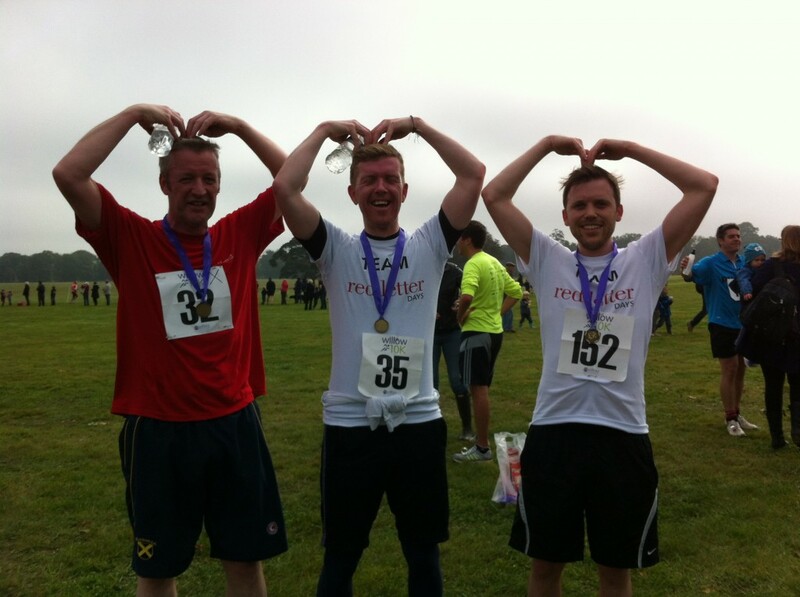 How can you get involved / help the Willow Foundation? We hope that has given you an idea of the work of the WIllow Foundation and Red Letter Days’ ongoing relationship with them. Please don’t hesitate to ask if you have any questions and stay tuned this year for fundraising news!